With one beer taking up the fridge lagering for the next month or so, I thought I’d take advantage of the downtime and get a second lager fermenting in there with it. I’m not quite ready to take on a classic German Pilsner until I get my boil more active, but thanks to the Therminator I feel reasonably confident I can use a clean 2-row base without a DMS issue so I improvised a recipe to re-pitch my bock yeast from the last batch onto. 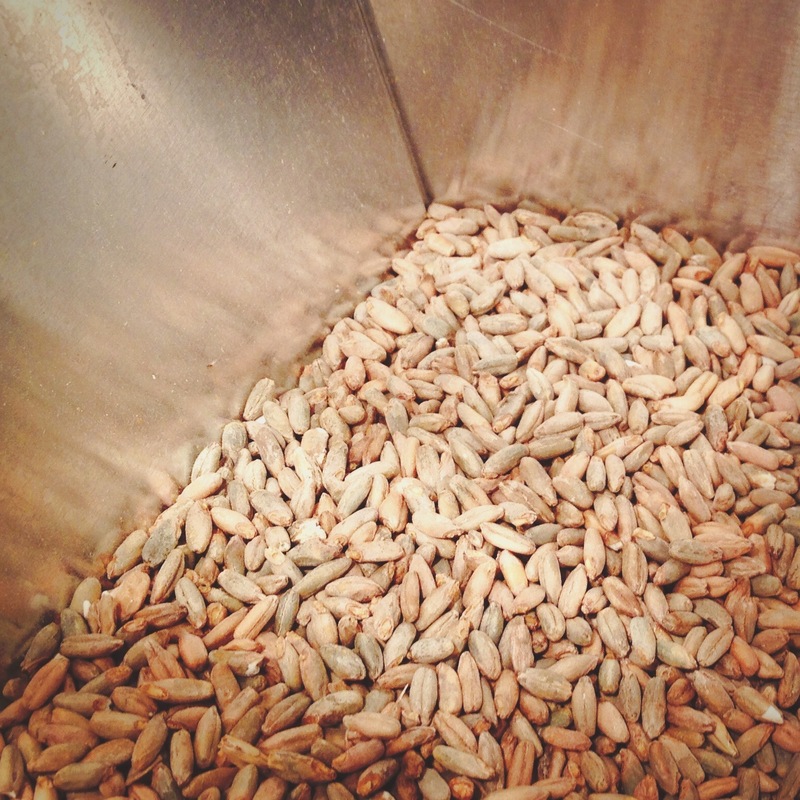 I’m a big fan of IPAs with a light rye addition, so I thought I’d up the malt complexity a bit by throwing in 20% rye. I started thinking of dank piney hops to accentuate the earthiness, but I figure a contrast in flavours would offer more depth so I went with Centennial as the aroma hop, and after reading up about hop stands lately for my IPAs I decided a ~3oz addition after flameout with a 5m rest would be a fun experiment. So while I started with a German Pilsner in mind, basically nothing about the recipe is anywhere close to a classic version. You could make an argument for it fitting into the American Pilsner category (it hits all the right numbers) so that’s what I’ll call it. 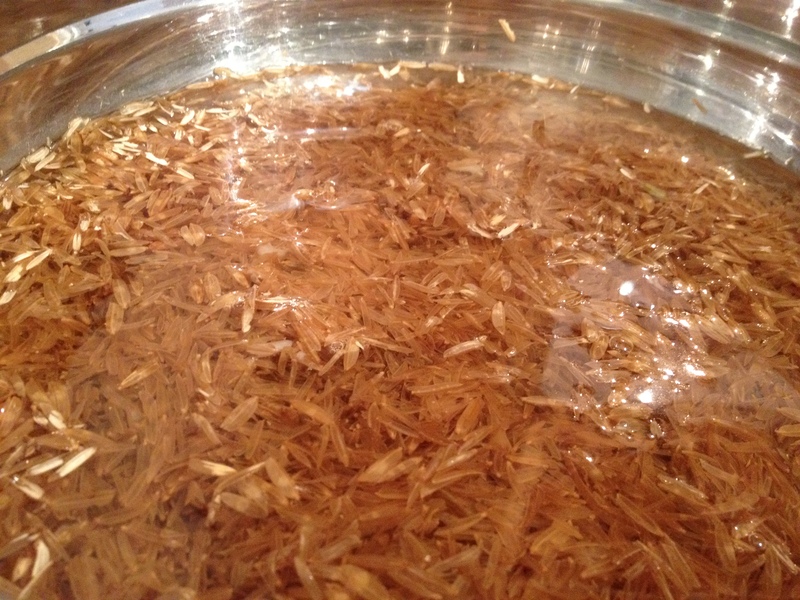 The only real issue I ran into on brew day was my first attempt at using rice hulls. I hydrated them and threw them in my mash water before I double-checked temperature. It ended up on the low side, so I spent more time than I should have straining them so I could re-heat the water. Lesson learned, hulls go in with grain on strike. 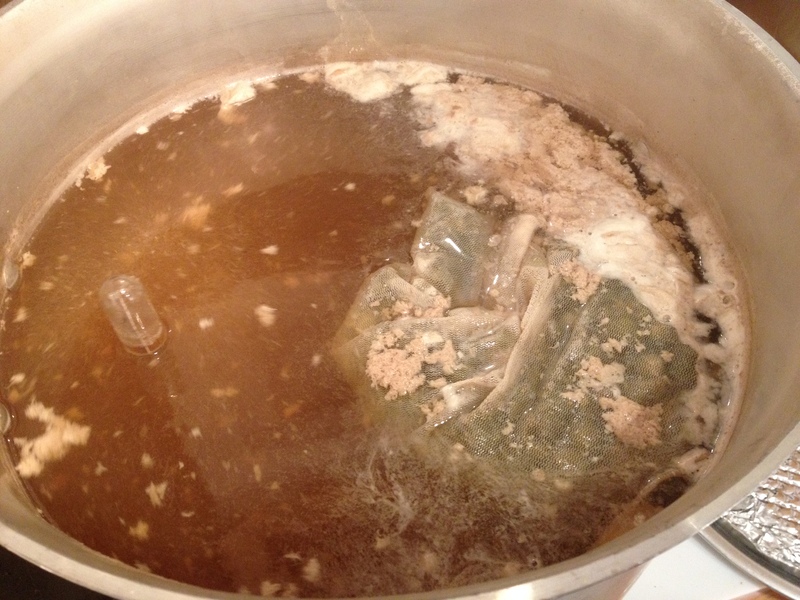 What was noticeable is something I’ve previously seen once or twice but haven’t quite pinned down as to why yet — the hot break was thick and clumped together so tightly that I was able to scoop it out during the early boil, leaving almost no trub behind in the kettle. Great yield as a result, just wish I knew why it happened. I’m still feeling out the fridge’s temperature range so I started on the low side at 7-8 C and after 24h of no activity I maxed it out at 10 C. That got things going, but three weeks later there’s still a big krausen on top so I killed chilling to diacetyl rest for a few days and finish it up. I’m hopeful about this one, but there are basically two things I can see going wrong. One is the yeast health, between the temperature and my attempts at washing which may have resulted in a less than ideal pitch size. The second is more worrying. I left my Therminator in Starsan, something they tell you pretty explicitly not to do due to corrosion. I’m not too worried about the unit, I don’t think I did much damage, but it had a noticably tinny/copper smell to it that I wasn’t able to rinse away. If the beer turns out on the metallic side, that’s likely because it is. Once the krausen subsides I’ll transfer for lagering, should know more once I taste a sample at that time. 8/10. Well that turned out way better than it should have. A bit grapey just like #040 at first, and for the first month after lagering the rye seemed a bit overpowering. But then it cleaned up to a clean, brilliantly clear, slightly earthy full-bodied pilsner. My next brew will be another pilsner with wheat instead of rye, and I’ll probably mix up the aroma hops, but it’s looking like I can pull off a pretty good one.